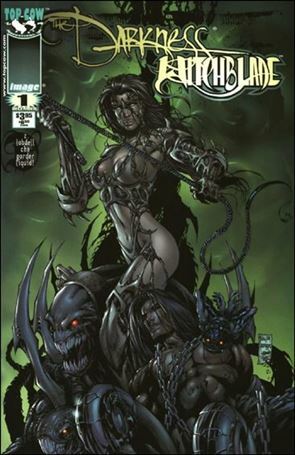 Now that Rob Liefeld’s entire catalog has been optioned, networks are scrambling for the next ’90s property and NBC has settled on Witchblade, by Marc Silvestri, a series which ran from 1995-2015 for 185 issues. The show will be executive produced by Carol Mendelsohn (CSI) and written by Caroline Dries (The Vampire Diaries). Top Cow founder/owner Silvestri and Matt Hawkins will also exec produce. Witchblade was previously adapted for television by TNT in 2001, with a separate movie announced for 2009, which never happened. Witchblade follows Sara Pezzini, a NYPD homicide detective who comes into possession of the Witchblade, a supernatural, sentient bracelet which bonds with a female host and provides them with a variety of powers in order to fight supernatural evil.